Separate the egg whites from the yolks into two medium-sized bowls. Beat the sugar with the yolks until smooth and pale yellow. Then, whisk in the mascarpone. Set aside. Whisk the egg whites until they form soft peaks. With a spatula, gently fold the whites into the mascarpone mixture until blended. One at a time, quickly dip the ladyfingers on both sides in the brewed coffee (a shallow bowl works well for this). These biscuits are like sponges so be sure not to leave them too long in the coffee. Line the bottom of a 8 x 8 inch- (20 x 20 cm) baking dish with enough ladyfingers to form a single layer. Spread half of the mascarpone mixture evenly over the layer of ladyfingers. Arrange another layer of biscuits and spread the remaining mascarpone on top. Dust with dark chocolate shavings (or cocoa powder if you prefer). Refrigerate for at least 4 hours before serving. Serves 6-8. This entry was posted in Desserts and tagged dessert, easy dessert, Italian, italian dessert, lady fingers, mascarpone, tiramisu. Bookmark the permalink. I always thought making tiramisu looked challenging too! Yours turned out beautifully, and it’s nice that you don’t need too many ingredients. Great post! Thanks, Steph! I’m really happy that you liked the post! 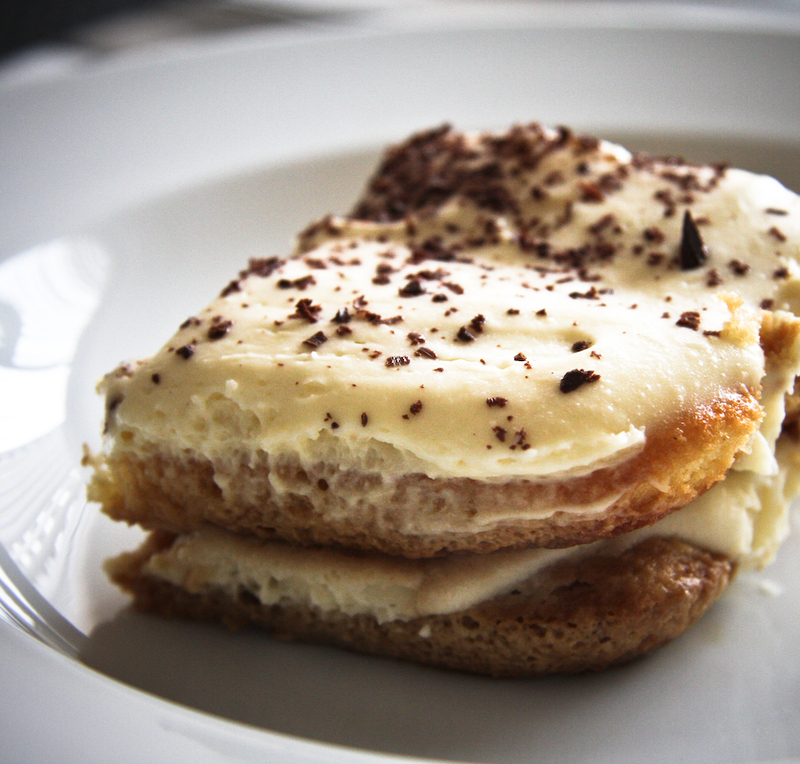 Tiramisu is one of my favourite desserts so you can imagine that I was excited to say the least when I discovered the “secret” behind this daunting classic.